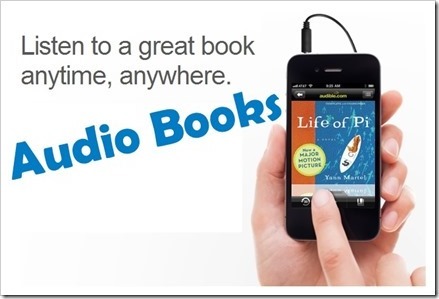 Audiobooks - Just a fad or the real deal? Books are changing medium faster than any other products. In fact, this has been true for the books since first book was written on papyrus. From being written on leaves to cloth to paper, books turned electronic almost as soon as it was possible to write on a computer. E-books took their sweet time to catch up but they did catch up and are now having their fair share in the market. Of course, the coming of ebook readers and of course tablet was the game changer. Where, reading on a bulky laptop might put some people off (me it doesn’t) but the tablets are quite light and some even as much as a bulky book (read ‘A Suitable Boy’ or ‘Shantaram’). Because of this, ebooks are becoming a norm. Unfortunately or fortunately, they are also getting a boost from piracy. People who start reading a book for cheaper price (read free) learn the art of reading online. Economics always comes into play in changing people’s habit. Now, a new form is becoming popular. Books are leaving the print media itself and audiobooks are being sold more and more. In fact, there are two services that are completely dedicated to audiobooks- Audible.com (Amazon’s venture) and Audiobooks.com. Both offer good services and one can purchase one book a month at about $15 per month rental. I do not have any numbers to prove that they are doing good or bad. My opinion though is that they won’t be doing badly, although, the prices in my opinion are a bit weird. They could have just sold the books like ebooks. Maybe, they also are testing the waters to see how it fares. Now, I have tried audiobooks. After all, the attraction is too much. You do not have to hold it or sit or make an angle with the book. Just what our PMPs and phones have taught us to do. Plug in the earphones and tada! The book has begun. I have the habit of listening to songs all the time. Therefore, to me, it seemed like second nature to listen to audiobooks. I have even dabbled in the podcasts. Unfortunately, the reality, for me at least, turned out to be quite sour. Listening to books is not the same as listening to music by a long shot. Podcasts do come close but even they do not give the actual idea. The problem is wandering off. Our most potent sense is vision and if the eyes wander off, the brain follows. For me, if I was not focusing on the audiobook, I was having blanks in the story which was frustrating. Listening to music, it doesn’t bother as skipping a part of a song doesn’t make you oblivious to anything. Podcasts, though needing attention are usually smaller in timing and therefore usually are not much difficult to follow as well. And if I am paying attention to an audiobook, I feel, I can read the book itself. Now, this might be just my problem. But I have a feeling that this might be more global. What is your take on this? 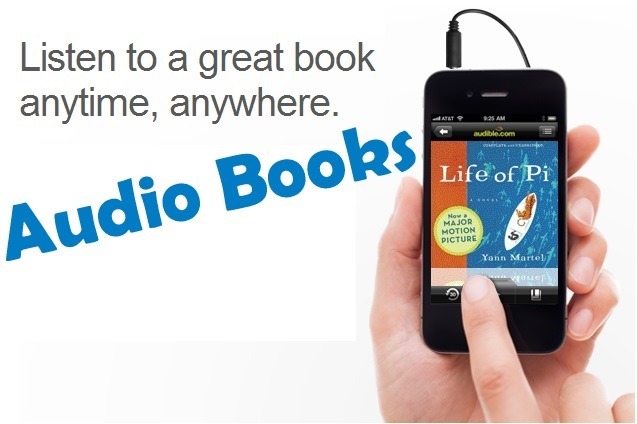 Do you think that audiobooks are just a fad and won’t bring the similar change as is being brought by ebooks to books? Mobile App Development: Growth, Trends & Economics! Iam big on audio books. I hardly find any free time to read a book and the best way to catch up on my reading is to listen to audio books on my evening jog everyday. I managed to finish a book a week when i listen to audio books. If its physical book, it can easily take upto 3 months for me. Its nice to see you after a long time. Where have you been? Been around. Been too busy, but have been reading your site regularly. Yup agree with the wandering part. It takes a lot of concentration to listen to an audio book. I had trouble concentrating on the first 2-3 books that i listened to. It takes time to get used to it. I do sometimes miss out on some parts even today. But iam better at the concentrating part now than before.